*Not to be used on the back of a vehicle . 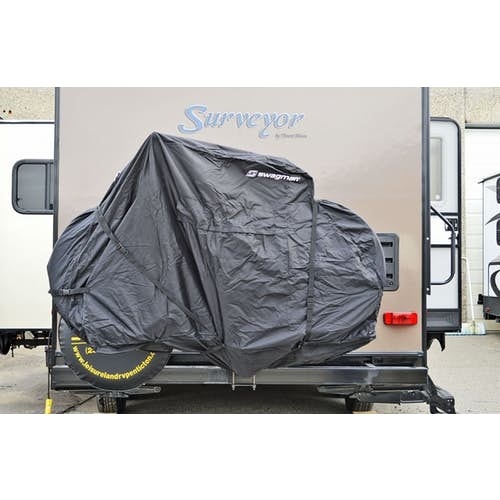 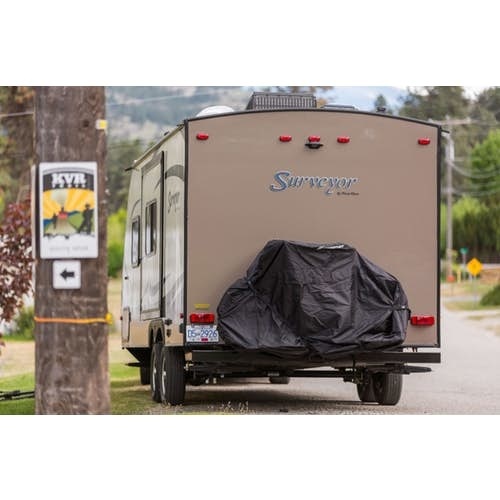 The main issue is wind, putting the RV bag on the back of a regular vehicle (non-rv) subjects it to an excessive force from the wind, which will likely tear/shred the bag, but also puts an undue load on the bike rack and the bikes which can lead to the rack failing or damage to the bikes. 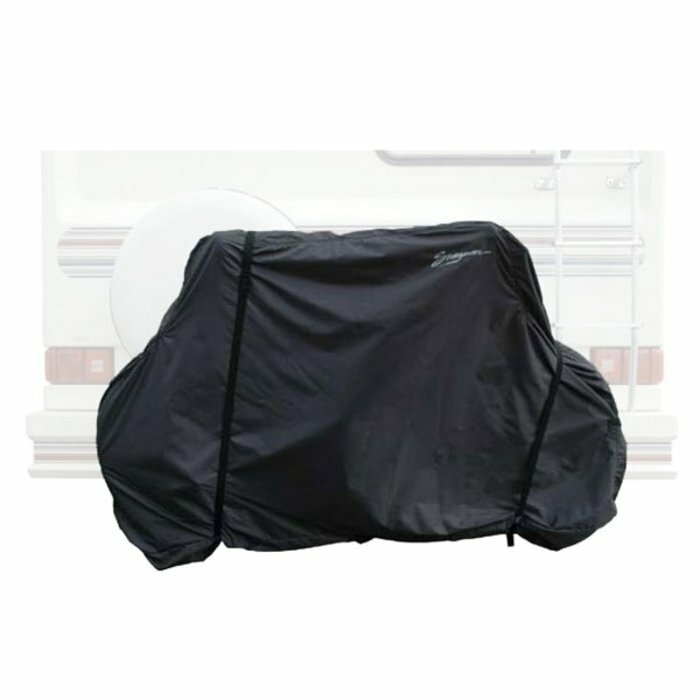 Ensure that bike and covers are clear of exhaust pipes and that the cover can not get caught in any moving parts on the vehicle.